What an amazing summer we’ve had – who knew outdoor living in Ireland could be so much fun! My barbeque was in constant use and I finally got to use all my garden furniture. One of the bonuses of the sunshine is that my apple tree is laden down with fruit. Last time the harvest was this bountiful the Chief Taster and I carefully picked the fruit, wrapped them individually in paper and stored them in crates. This project did not have a successful outcome….. So I’m looking for ideas to use them up before the birds eat them. All suggestions welcome. One thing I’m going to do is stew and freeze a batch of them so I can make one of my favourite cakes over the coming months. It’s a Sophie Grigson recipe that can be adapted for almost all fruit and it’s so simple you have to try it . Mention Easter and what comes to mind? Chocolate of course – in all shapes and forms – the more the better ! We have a traditional Easter Egg hunt here on Easter Sunday with competition to see who can find, and in some cases, eat the most eggs ! Thankfully the last few years have been dry so the Easter Bunny had plenty of choice when it came to hiding places in the garden. I even found a few ‘escapees’ a few days after ! After the hunt is over there there has to be coffee and cake – to help the adults recover. And what else could it be except chocolate cake? When we were children everywhere was closed on Good Friday, the Fast day was adhered to and you weren’t even supposed to speak between 12 and 3pm. There wasn’t anything to watch on TV except the Long Good Friday. The only good thing was the bag of hot cross buns that my Mum used to buy from McGinn’s bakery. These sticky buns were delicious with lashings of butter – we protested that they counted as a collation and so formed part of the Fast Day diet. Good Friday is now almost like any other day except for Hot Cross Buns that is. McGinn’s no longer exists – it’s now the CopperPot Still Pub. I’m not even sure how many people observe the Fast Day anymore. In the last few years I have started making my own hot cross buns to see if I can recreate that childhood taste. I’ve had various degrees of success but I never seem to remember to write down how I made them or which recipe I followed. I took my inspiration from a number of recipes but I’ve broken a few rules by adding everything in together. I came across the idea of using the muffin trays on the Taste Australia website and it’s such a good idea I can’t believe I hadn’t come across it before. Make your dough by mixing together the flour, sugar, cocoa, mixed spice and yeast in bowl of your Kenwood. In a jug mix the warm milk mix, melted butter and beaten egg. You want this mix to be lukewarm so it will activate the yeast. Once the mix comes together add in the mixed peel, chocolate, orange zest and juice and continue to knead for another 5 mins. When the dough mix is smooth and springy transfer it to an oiled bowl. Cover lightly with clingfilm and leave to rise in a warm place for an hour. Line a 12 hole muffin tin with paper liners. I knew I’d eventually find a use for the lovely ones that have been languishing in my baking cases box for the last two years. Divide the mix into 12 equal pieces and roll each piece into a ball and place one in each hole of the muffin tray. Cut a cross in the top of each bun using a scissors . Cover the tray and leave to rise for another 20 mins. To top the buns mix the 4 tbsp. 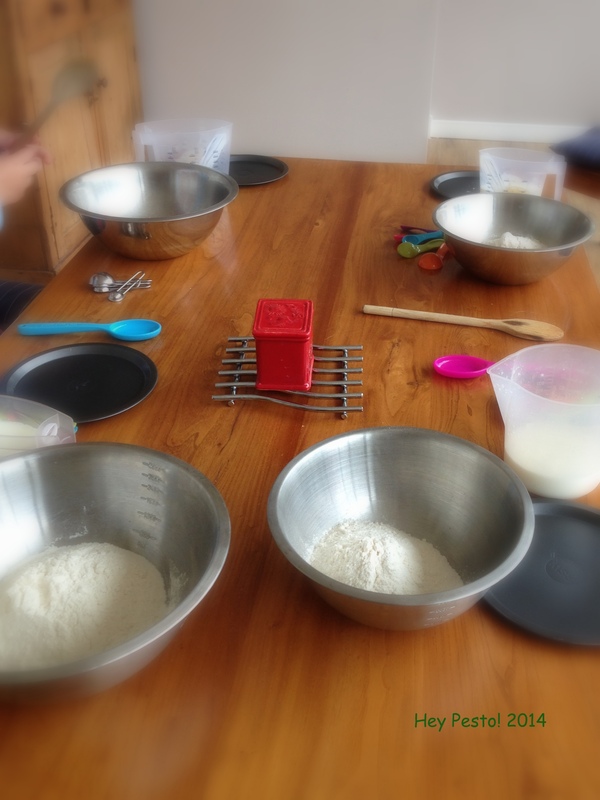 of flour with enough water to form a paste. Put the paste into a plastic bag, snip of the corner of the bag and pipe into the cross on each bun. To get that lovely sticky glaze on top melt the 2 tbsp. sugar with a tablespoon of water and then brush over the top of each bun. 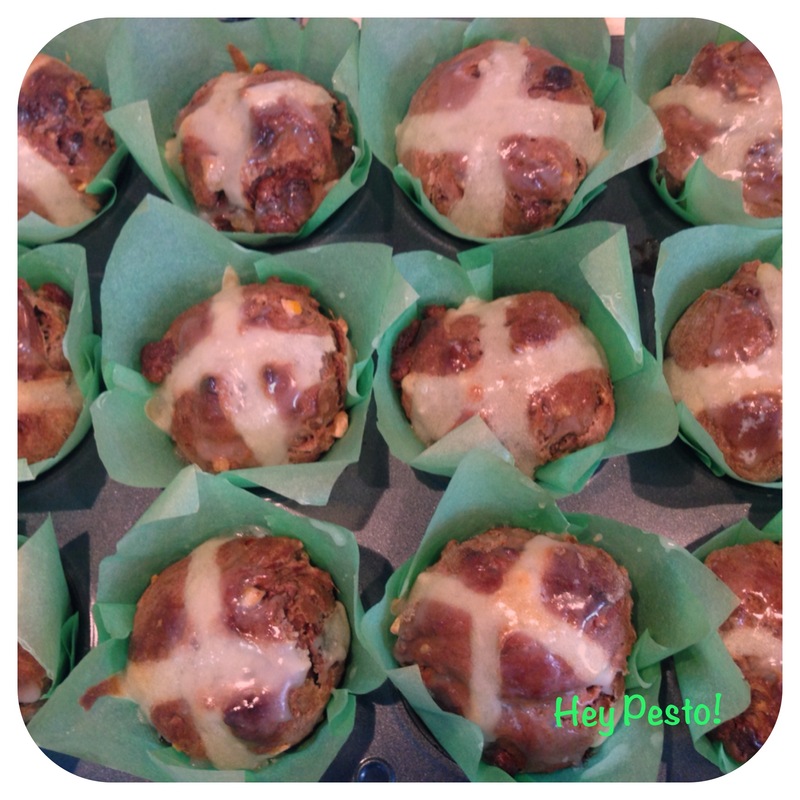 These hot cross buns are best enjoyed warm with lots of butter. The Chief Taster is in the UK on business so I’ll have to make another batch when he gets back to see what he thinks of the chocolate twist. Any excuse I know…. 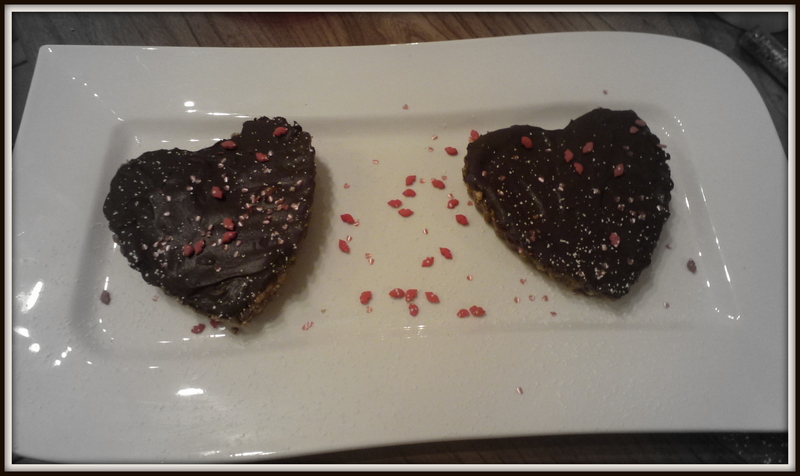 My poor blog has been very neglected of late so it’s time to pay it some attention and share a recipe for Valentine’s Day. In preparation for my ‘Cupid’s Cookery‘ class last week I did a little research on aphrodisiacs and found lots of trivia. Did you know that basil was used for seduction by women in Moldova? Or that Catholic priests in Spain banned avocados because they found them obscenely sexual? Other reputed aphrodisiacs are honey, almonds and chocolate – so what better way to celebrate St Valentine’s Day than to present the object of your affections with a combination of all three? Crush the biscuits finely and add in the melted butter. Then press into the bottom of heart shaped tin. Whisk the cream and honey together in a small saucepan over a low heat and then slowly bring the mix to just below the boil. Pour the mix over the chocolate and stir until the chocolate melts. Stir in the toasted almonds and the Cointreau. 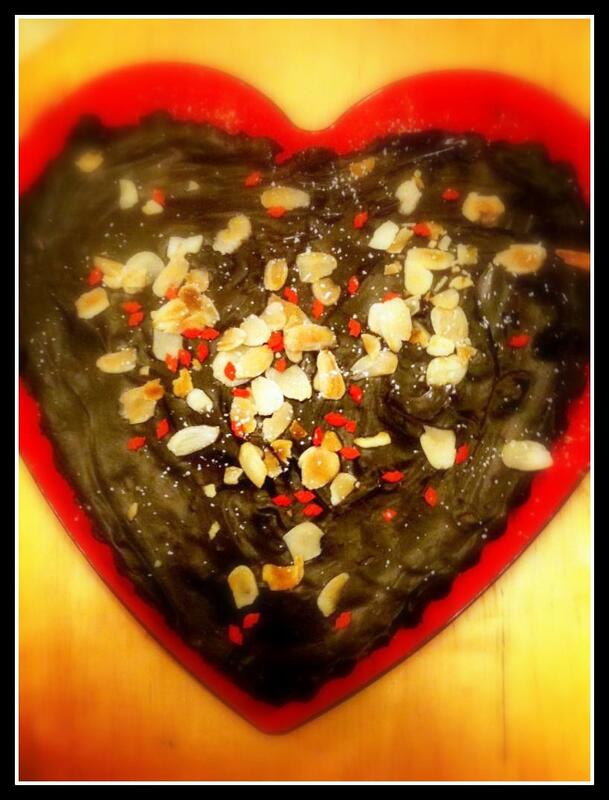 Decorate to your heart’s content with almonds, hearts and sparkles! I also made individual ones for last week’s date night – one with added sea salt which I preferred but The Chief Taster preferred the Cointreau version! I may have mentioned that I’m not really a dessert person – give me savoury any day – but I love making desserts and watching others enjoy them! I came across this wreath cake a few years ago – in a copy of Good Housekeeping I think – and have been using it every Christmas since. I should warn you that this is a cake for serious chocoholics and not for the fainthearted, but it makes a great centrepiece on Christmas Day! It’s an easy cake to make and it freezes well (un-iced ) so you can make it in advance and take it out to decorate on Christmas Eve. The only special piece of equipment you will need is a ‘wreath’ tin i.e. a 23cm spring form cake tin with a but missing in the middle! I use one I bought in Ikea but I know my local shop ‘Kit Your Kitchen‘ now stock similar . Turn your oven to 180 C or Gas 4 before you start and grease your tin with butter. Drain the tin of pears and whizz in food processor to a purée. Mix the pear purée with the milk, espresso granules, oil and vanilla extract. In another bowl mix together the cocoa powder, flour, baking powder, baking soda and salt. Finally fold the flour mix into egg and pear mix. 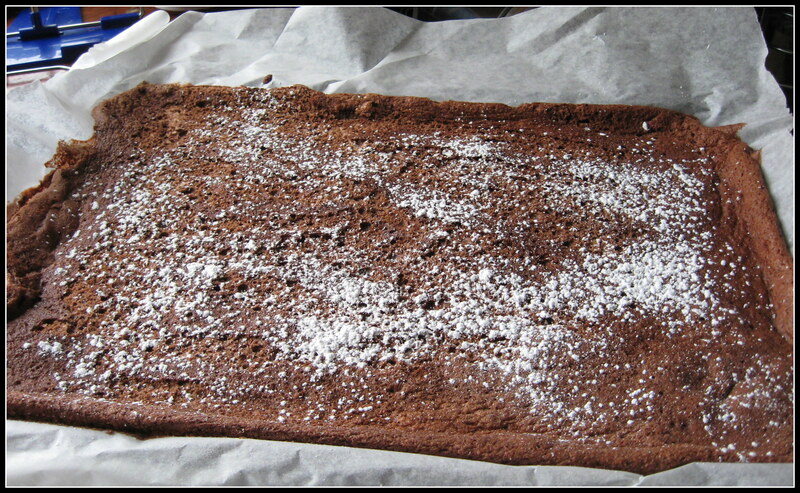 Allow cake to cool slightly in tin before turning out onto rack. As I said, if you’re making this ahead of time , you can freeze it at this point. Just make sure you wrap it carefully! The icing is very simple : heat the crème fraîche in a bowl over a pan of simmering water. Then remove from heat and add in chocolate. Allow to melt and then mix in until smooth. Then it’s time for your (or your children’s ) imagination to take over…..
You can make chocolate leaves ….. But whatever you decide please be warned that this cake is INCREDIBLY rich and a little goes a long way! PS I have been known to make this into an Easter Cake by covering it with flowers and mini eggs – you see a cake’s not just for Christmas! When is a recipe a family recipe? When is a recipe a family recipe? Does someone in your family have to develop the recipe from scratch or can it be a recipe that is used a few times and then becomes a family favourite? I’ve been involved in several conversations on this topic and my maths brain tells me that there has to be a finite (albeit large) number of recipe combinations so there are bound to be duplicates making it harder to credit the original originator of a recipe! I believe that recipes evolve through sharing and experimentation. I have scraps of paper from family and friends glued into my recipe notebook including a very precious one dictated by my late Grandmother for her famous brown bread – once I figure out how much is in a ‘handful’ I’m sure it will work….. I have a vast collection of cookbooks that I love to cook from – but more often than not I’ll change something as I’m going along. Don’t you hate it if you ask somebody for a recipe and they refuse to share it as it’s a ‘family secret’? 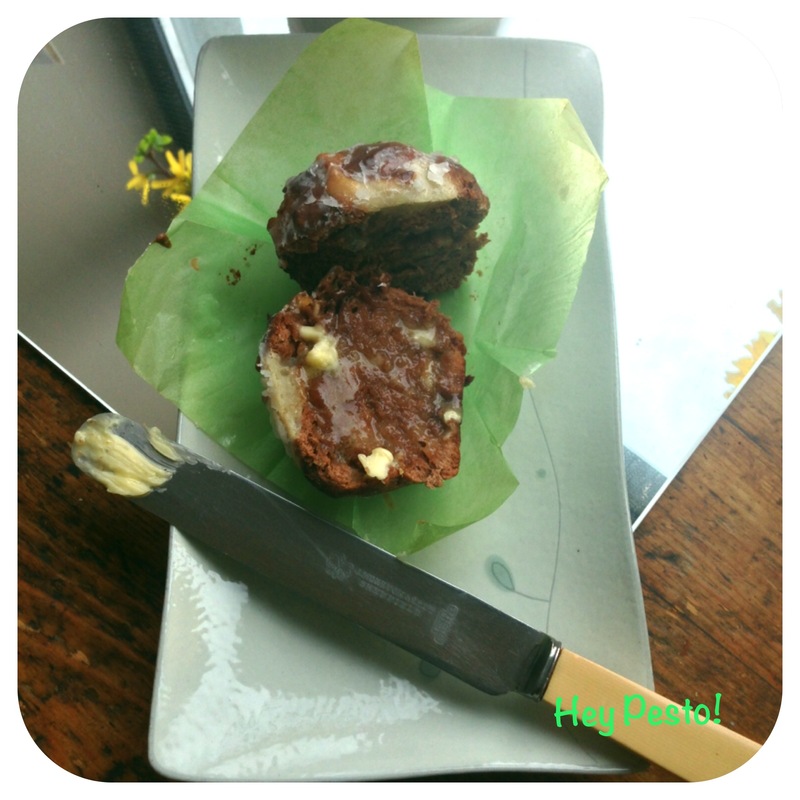 I make a lot of Chocolate Roulades – in fact it’s one of my main desserts. I love making a mini version to go on a mixed dessert plate. I was given the recipe by the lady who owned the catering company I used to work for. I changed the quantities slightly to make it work in a bigger tin., and added the brandy! Years later I came across practically the same recipe in one of the Avoca books – so does the recipe belong to the person who first gave me the recipe, to the author or to me ??? I hate to think of myself as possessive so I’m more than willing to share this wonderful recipe, whoever it actually ‘owns’ it. I hope you like it. Melt the chocolate with the brandy, either slowly in the microwave or in a bowl over a saucepan of simmering water. Whisk the egg yolks and sugar together until you get to the ‘ribbon stage’ – you really need an electric whisk for this unless you have really strong arms! Bake at 180 C/Gas 4 for 12-15 minutes, until firm to touch. 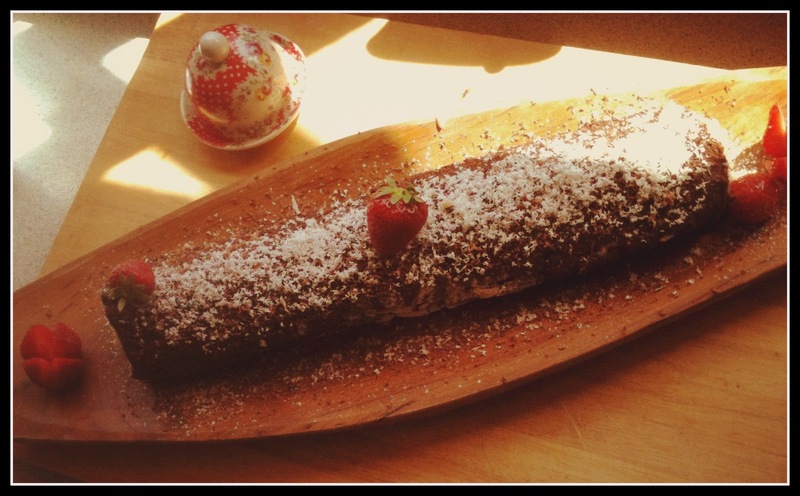 Dust the top of roulade with icing sugar and invert onto parchment paper. Serve and watch it disappear! PS This works really well as a Christmas Log – decorate it with chocolate leaves and a robin! Anybody else got a favourite recipe they’d like to share ? I knew once I saw the Peanut Caramel Cheesecake in Good Housekeeping’s ‘Chocolate Collection’ that it was going to be one of those recipes destined to become a firm favourite. I tried it out for a family occasion but never got to taste as much as a crumb – which is always a good sign. Then I did it for as part of dessert buffet and had several requests for the recipe. So when some of my college friends came for a barbeque last weekend (and yes we did get to eat outdoors – without fleeces and raingear!) there was no question about what I was doing for dessert! And it was a HIT! I have made one or two changes to the original recipe including leaving out the peanuts in my last version cos I’m always worried in case someone has a peanut allergy. 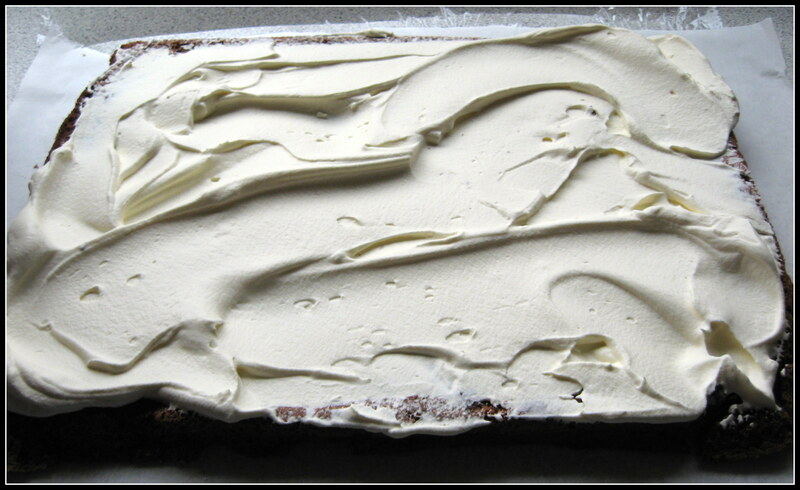 I hope you like it…..
Line a 22cm springform tin with butter and baking parchment. Crush the biscuits in a plastic bag using a rolling pin. Mix the crushed biscuits and melted butter together and press into the base of the tin. Whisk the cream cheese with the vanilla until smooth and creamy. Then (in a spotlessly clean bowl) whisk the egg whites to stiff peaks. Gradually add in the sugar to form a glossy meringue like mixture. Carefully fold the meringue mix into the cream cheese using a metal spoon. Then fold in the chocolate and pineapple into the mix. Finally swirl in the dulce de luche and pour the mix onto the biscuit base. Leave cheesecake to set in fridge overnight – or if you’re in a hurry pop it into the freezer for a few hours. 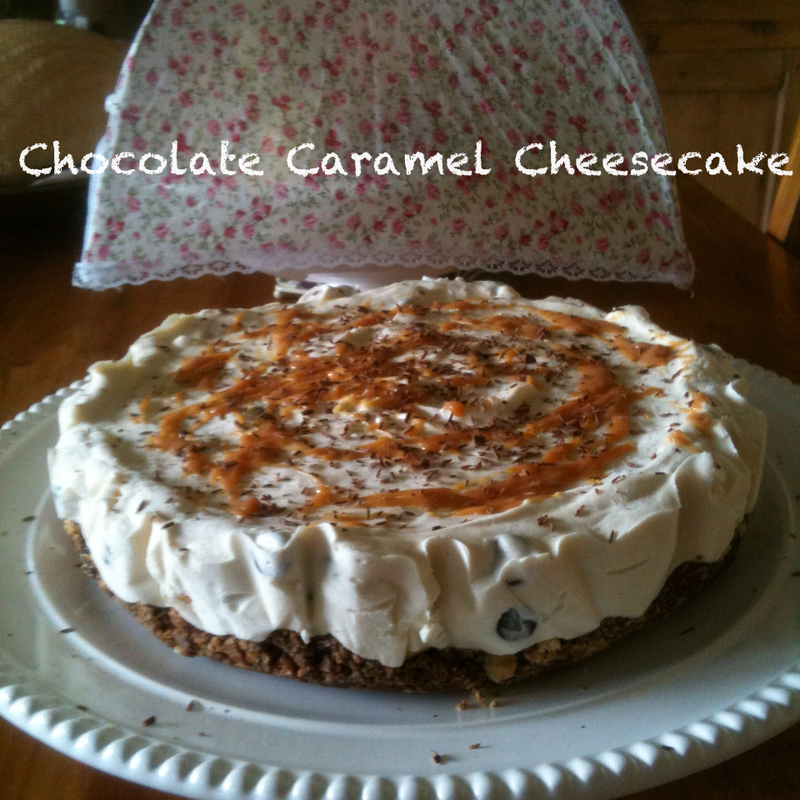 Remove the cheesecake from the tin and topwith more dulce de leche and grated chocolate……. I dare you not to come back for a second slice! There’s no chocolate in it honestly! As you may have noticed I have a ‘slight’ addiction to cookbooks. I also have a tendency to collect recipes from magazines, newspapers etc – I have a box of pages and clippings from various publications that I have garnered from numerous sources ……….. Some look tantalising when I’m in the hairdressers or in a waiting room but once assigned to the ‘box’ they never leave, others make it straight to the kitchen for testing and some even go on to become firm favourites. One such find was a recipe for an Espresso Tart – I think it came from a Food & Travel magazine and my apologies for not acknowleding the original owner of this recipe but your details aren’t on my valued clipping. I’m not really a dessert person but I do like this (must be the caffeine). Almost everyone who tastes it is convinced there’s chocolate in it but as you’ll see there’s none. 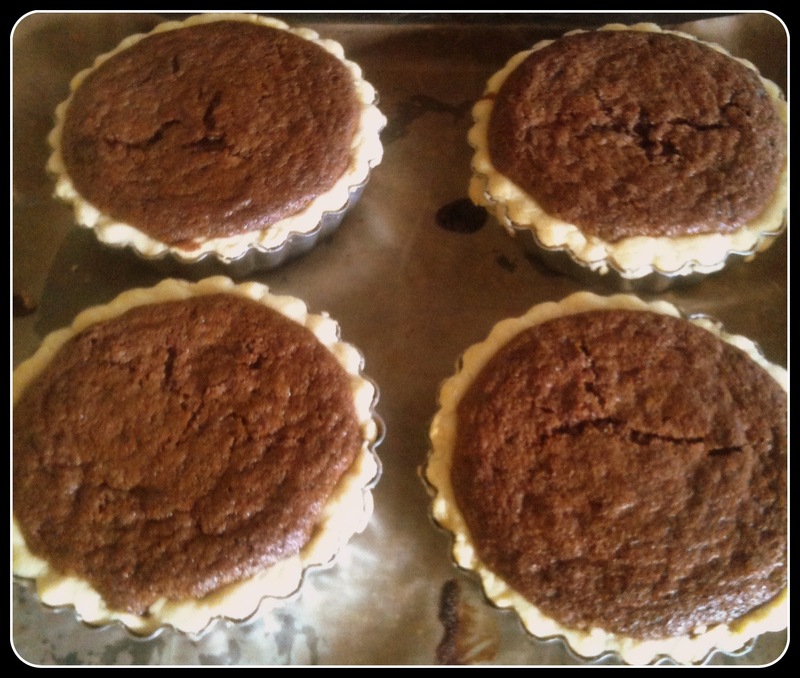 I brought one of these tarts to Inishfood in May and I’ve been asked to share the recipe – so this is especially for Donal, Imen and Bríd. For the filling, heat butter and sugar until sugar dissolves, then ad the coffee, liqueur and eggs. Gently fold in the sieved flour and pour the mixture into the pastry case. 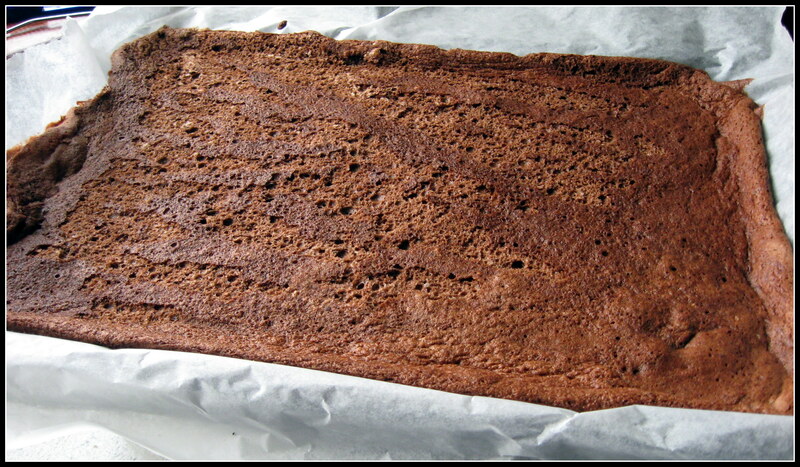 Bake in preheated oven for 35-40 mins – you want a ‘squidgy, fudgy’ texture- be careful not to overcook! * I use 1lb flour, 8oz butter, 1-2 egg yolks, 1 tbsp caster sugar and a little water to make my pastry – this should give you enough for 2 tarts. You don’t need to blind bake the pastry for this recipe. 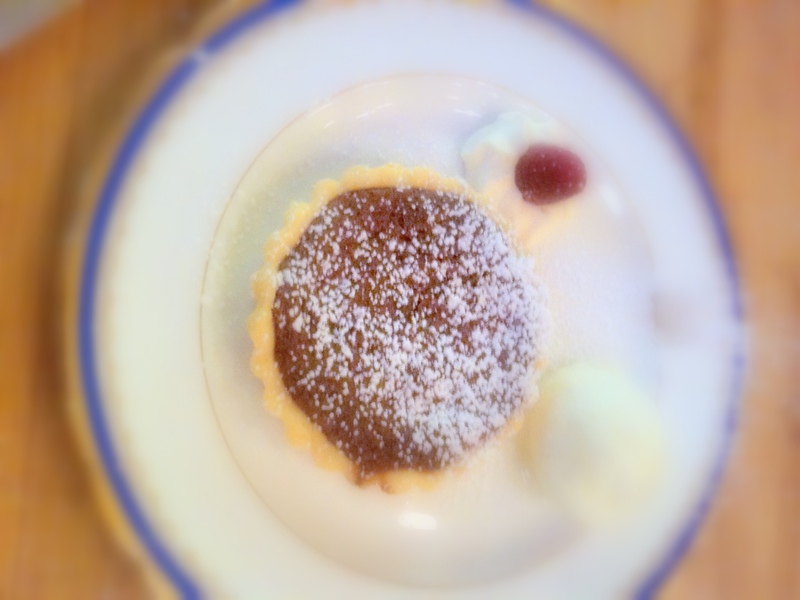 As I said this tart can be served as an excellent dinner party dessert with ice cream or créme fraiche but best of all with mascarpone sorbet which is not as complicated as it sounds – please try it as the taste combination is divine! Whisk the mascarpone with the milk until thick, smooth and lumpfree. Then stir in the sugar. If you have an ice cream maker, pour in mix and leave to stir until thick and creamy, then freeze until needed. If you don’t have an ice cream maker then pour mix into tupperware box and freeze for an hour. Then whisk in frozen edges back into centre of mix to break up any ice crystals. Freeze for another hour then beat again. Repeat until sorbet is thick, creamy and frozen. Now all you have to do is sit back and enjoy – and now you know there’s no chocolate in it, honestly!